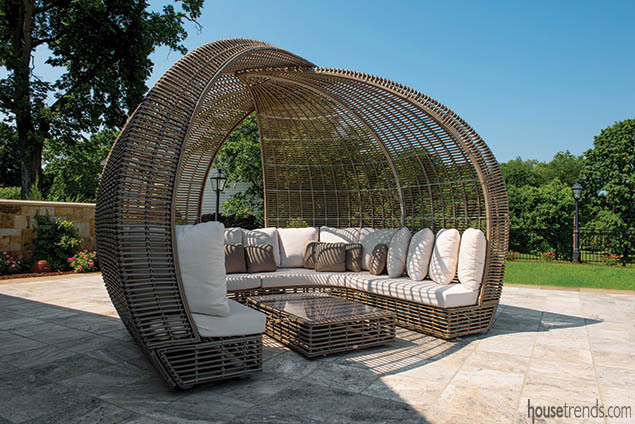 This Halo Kubu from Skyline Design provides a striking spot for lounging poolside. Imagine designing your new home and coordinating with architects and builders from your room where you are pregnant with twins and on bed rest for nine weeks. Now fast-forward five years. You’ve moved into your home. And during the week of your twins’ fifth birthday, you celebrate the birth of your second set of twins. There’s no doubt that these last six years, with the birth of identical twins, the construction of a dream house and the birth of fraternal twins, have been challenging for one Midwestern couple. 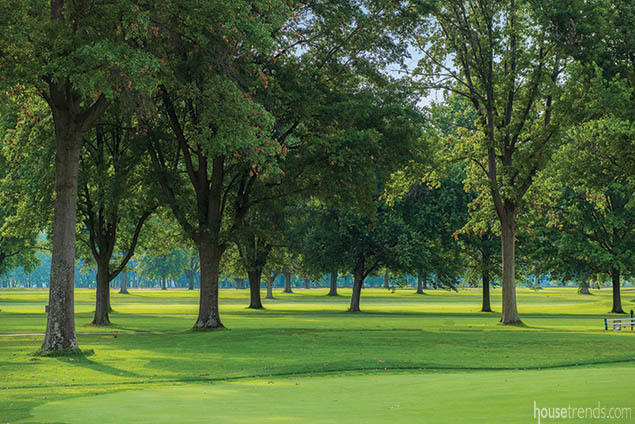 The homeowners, who have been married since 2009, decided to build on family land overlooking a neighboring golf course. “This is where I grew up,” the husband says. David Bullock of Nau & Bullock Architects remembers the way his firm was contacted about this project. “The homeowners actually found us through our website—which is not how we get much of our work—it’s mostly for people to find our phone number,” he says with a chuckle. 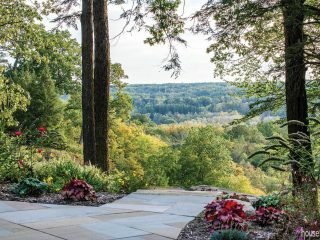 Landscape architect Jim Hiss, a founding partner of Edge, came on board to collaborate on the outdoor living areas and landscaping. 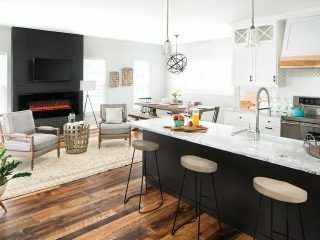 The homeowners found their interior designer, Pam Holschuh, ASID and owner of Copper Leaf Interior Design Studio, through a mutual friend. 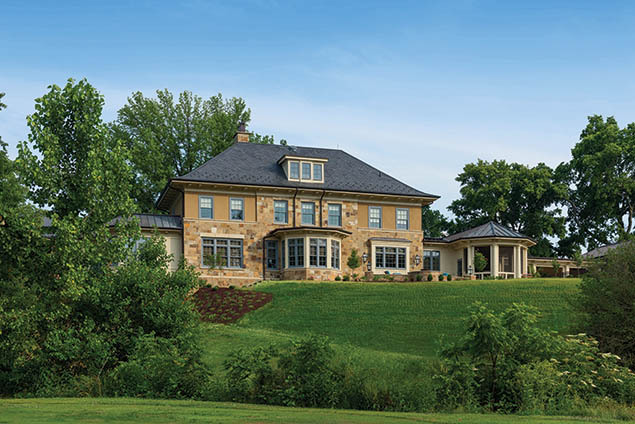 With their dream team assembled, the group set out to build a gorgeous home. 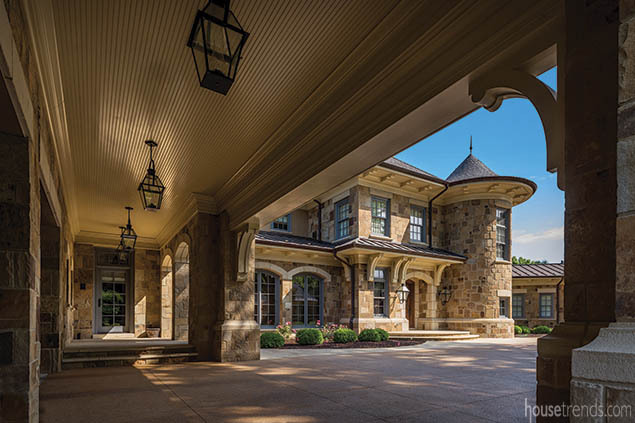 The couple wanted to make sure their home wasn’t uncomfortable due to its grand stature. “When you build a bigger home you actually get worried about it being too big,” the husband says. 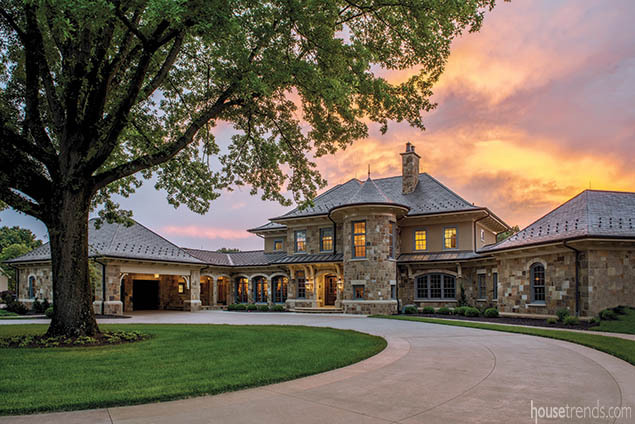 Guests are ushered to this magnificent estate around a circular driveway. A walkway surrounding the drive invites people to the green space and shade tree in the center. 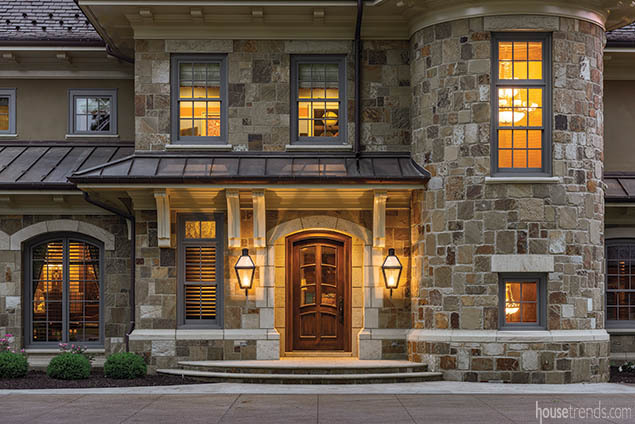 A turret, that houses a handcrafted staircase, accentuates the front of the home. 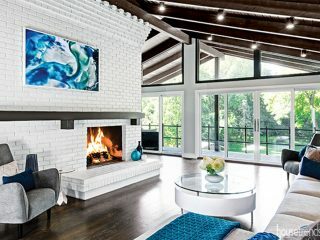 Windows flood the home with natural light. Snow guards on the roof provide historic detailing while protecting the copper from damage in rough Midwest winters. 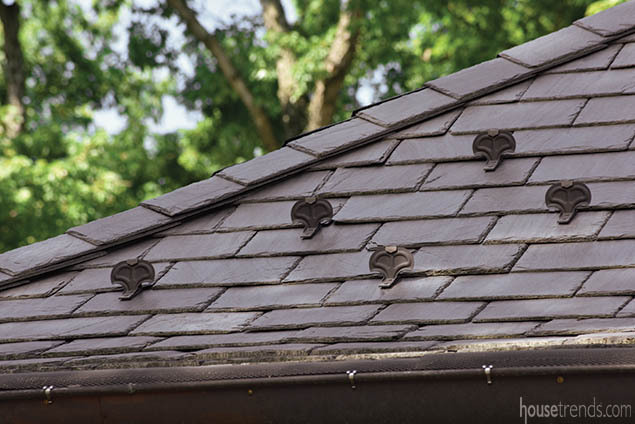 The copper roofing is a complementary color to the Brentwood natural stone selected for the exterior of the house. They were drawn to the colorful range of rust colors in the stones. “They didn’t want the stone to be smooth, but also didn’t want the rubble finish,” Bullock explains. 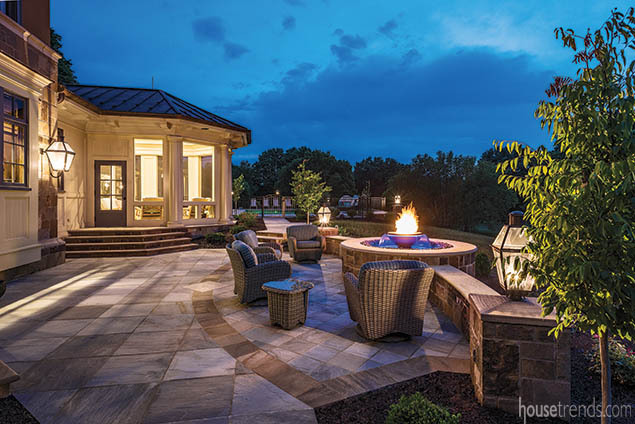 The husband says when it came to designing their outdoor living space, the couple knew they wanted a walkway wrapping around the house, a pool and hot tub, a fire pit and an outdoor kitchen. One of the major challenges was that the house sits high on a hill that was not structurally sound to support the design. The architect and his team had to backfill the space to support the home and outdoor spaces. 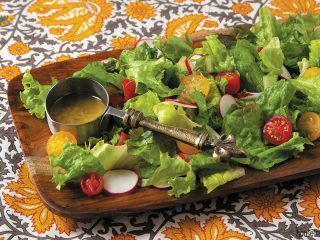 The outdoor kitchen is housed in the screened-in porch and is worthy of five-star status. It boasts a Fire Magic grill with three infrared burners. 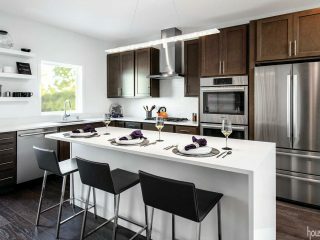 Other amenities include a small refrigerator, sink and a surface mount refreshment center that can be filled with ice and used as a cooler for drinks. 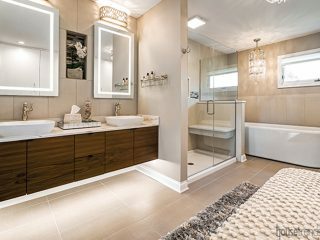 This Twin Eagles unit isn’t your normal cooler though, as it has a drain and water line that goes under the counter to the sink where it drains itself. 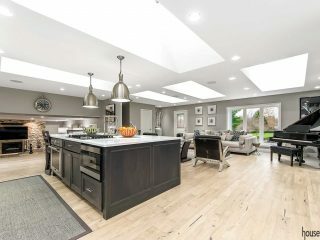 The kitchen is finished with ample storage for outdoor dining supplies so the homeowners don’t have to go in and out of the house for plates or napkins. 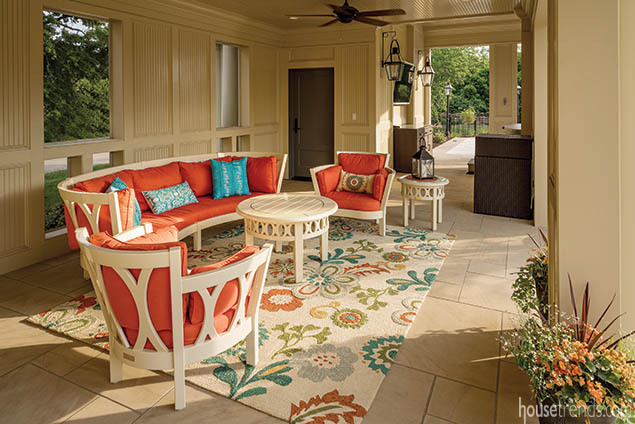 Outdoor furnishings give the space a comfortable feeling of being indoors, and heaters allow for year-round enjoyment. 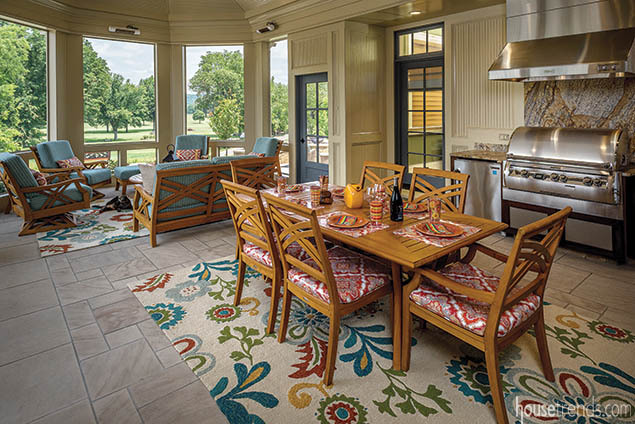 Swivel chairs in the adjoining living room allow guests to turn and enjoy the outdoor views while still enjoying the comfort of the screened-in porch. 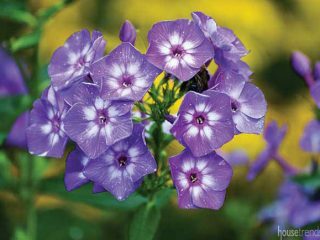 This gives them a bug-free dining area, and they can go to the open-air lanai for a soak in the hot tub. And down a few steps from the pool, in its own private area, the family has an outdoor fire pit that is integrated with a water feature. 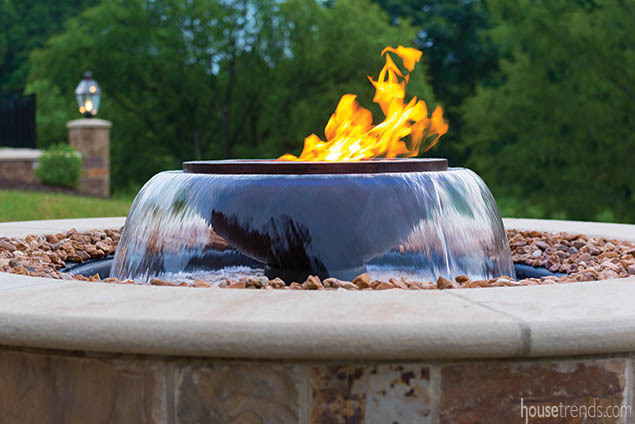 The sound of the fountain can be enjoyed out the kitchen windows, which are right behind the fire pit. The space is great for a good breeze in a quiet setting. 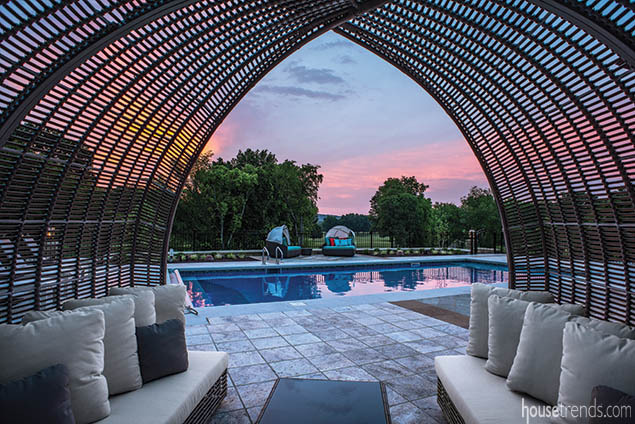 Once the home was finished, Holschuh says, an open house gave the family a chance to see everything in use and learn the technology behind some of the features throughout the space—such as the remote lighting in the pool. While this construction process was long and sometimes tedious for this growing family, the husband can look back on the experience with fondness. “The good thing is, my wife and I agreed on most things. We were able to stand each other,” he says with a smile.